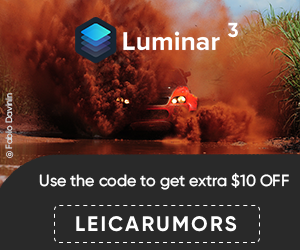 “The Leica V-Lux 3 combines exceptional performance with the handy size of a compact camera. It offers a vast range of focal lengths and covers almost all photographic situations that usually require the use of a camera system. The V-Lux 3 is therefore an attractive alternative to entry-level DSLR cameras with interchangeable lenses,” says Peter Kruschewski, Product Manager for Digital Compact Cameras at Leica Camera AG. The design of the Leica V-Lux 3 is characterized by a compact form and extremely simple handling. The camera’s integrated handgrip keeps it steady and its light weight allows for one-handed shooting. All controls are clearly laid out and simple to use. For instance, video recording can be started quickly and easily at the touch of a button on the top deck of the camera. Supporting Leica Camera’s commitment to an uncompromised customer experience, the Leica V-Lux 3 comes complete with a two-year warranty. The camera also is supplied with a comprehensive software package, including Adobe® Photoshop® Elements and Adobe® Premiere® Elements. The image-processing software Adobe® Photoshop® Elements offers users options for viewing, organization and administration in addition to a wide range of image-processing solutions. Adobe® Premiere® Elements is especially designed for video processing and offers optimum features for processing videos recorded by the V-Lux 3 in AVCHD format, enabling the creation of professional audio and video effects. Both programs are available as free downloads from the Leica Camera website after registration of the camera. 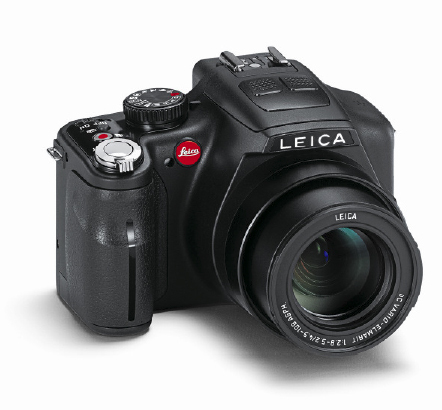 The Leica V-Lux 3 will be available from Leica Camera dealers beginning January 2012. Scene modes: May differ from the ranges above. This entry was posted in Leica V-Lux. Bookmark the permalink. Trackbacks are closed, but you can post a comment.